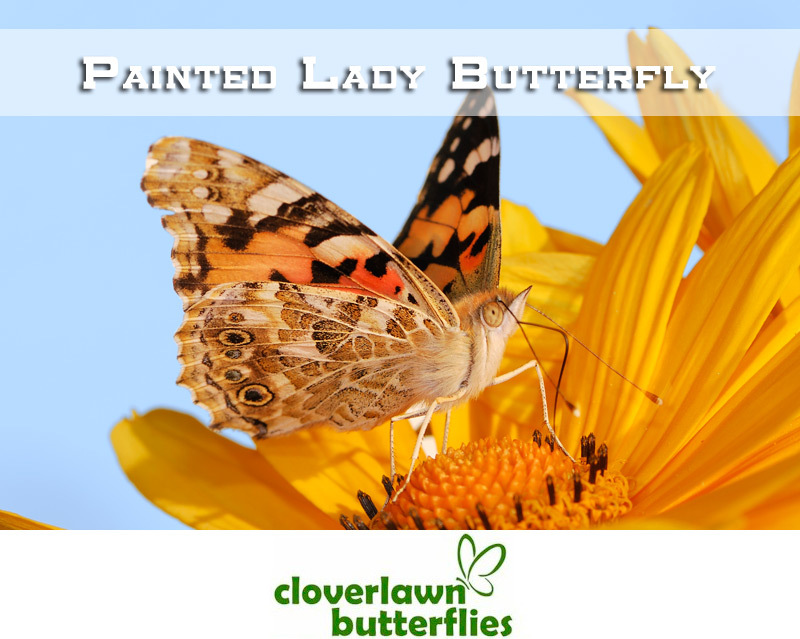 We are currently sold out of our Monarch Butterfly Release packages, please purchase this same product which uses our Painted Lady Butterflies instead from our page here Painted Lady Butterfly or clicking the image below. 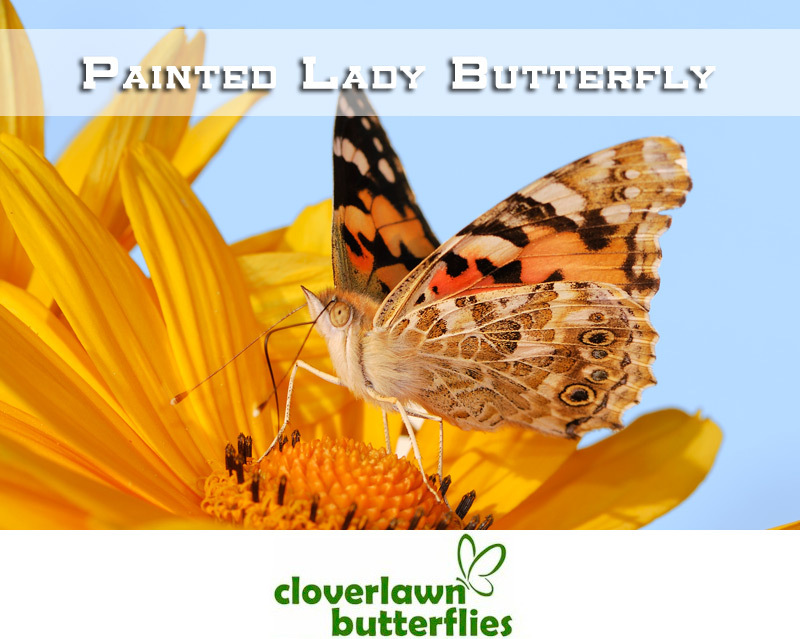 In addition, we can ship our Painted Lady Butterflies to any state in the United States unlike our Monarch Butterflies due to USDA regulations. Our Painted Lady Butterflies are just as big, beautiful and people-friendly as our Monarch Butterflies. We’re the premier butterfly release company to buy from for releasing monarch butterflies for your events, such as but not limited to weddings (Butterfly Release Wedding), memorials (Memorial Butterfly Release) and funerals (Butterfly Release Funeral). 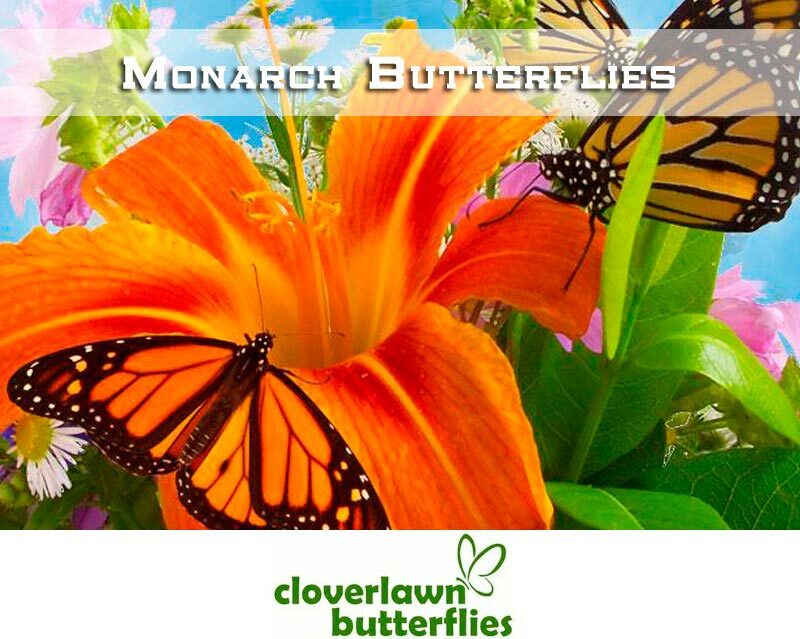 Cloverlawn Butterflies Butterfly Release Company provides Monarch Butterfly release packages perfect to fly and flutter at any of your events or special occasions. This Monarch Butterfly Release Package of 12 Monarch Butterflies in Mass Release Boxes will leave unforgettable memories to all who participate or witness your butterfly release event. What Can You Use a Monarch Butterfly Release For? 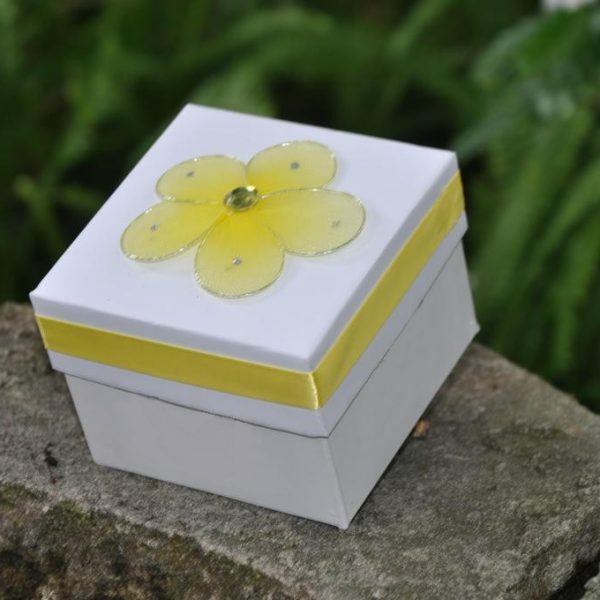 There are many events and special occasions for which our Monarch butterfly release packages are an appropriate and beautiful gesture. 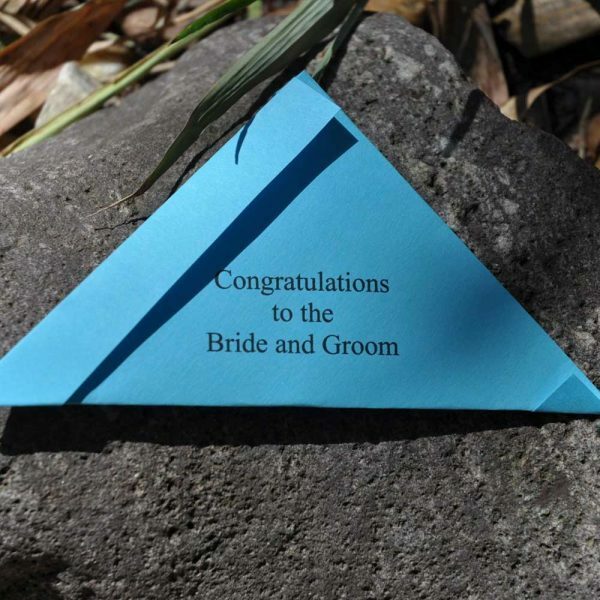 They can be used for weddings (wedding butterfly release), when the butterfly would represent love and change, as two people joined together to start their new life together. You can also choose to have a butterfly release during a funeral (butterfly release for funeral) or memorial service (butterfly release memorial), when our Monarch Butterflies would represent the soul, life and rebirth, showing guests that the departed has been on an incredible journey and made many changes throughout his or her life, and is now on to a new adventure in the afterlife. 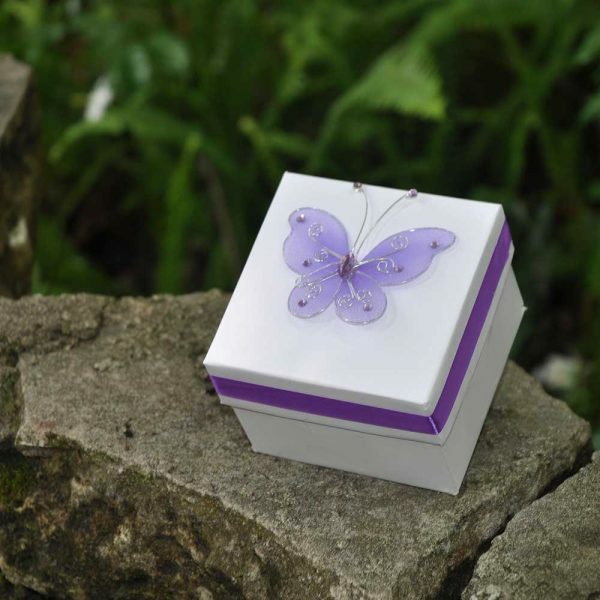 Other types of events you may want to use a butterfly release for may include a birthday, graduation or anniversary. Weddings are times of happiness. They are the joining of two souls who love each other to start their new journey as one. 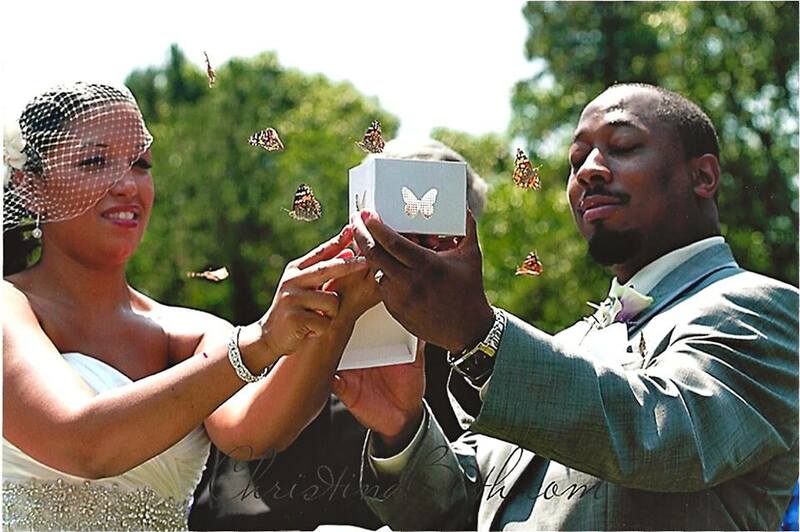 What better way to physically represent the love of two souls than with our Monarch butterflies? Monarch Butterfly Release Wedding at Kaloy & Roxy’s Wedding Ceremony. Whether you have a butterfly theme, or just want a unique touch, Monarch butterfly releases can do just that. Not only do they create some excellent photo opportunities, they give you and your partner a special moment to share as you are surrounded by these delicate butterflies. And they allow your guests to see and share in your love. 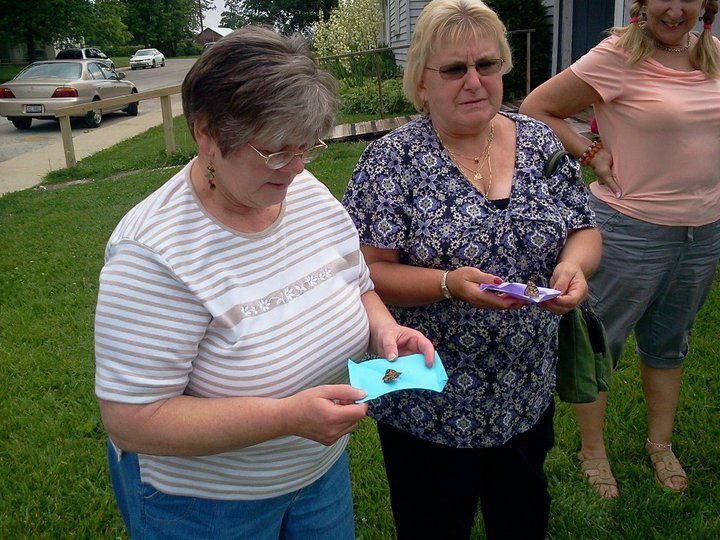 View a Monarch Butterfly Release For a Funeral in the video below. 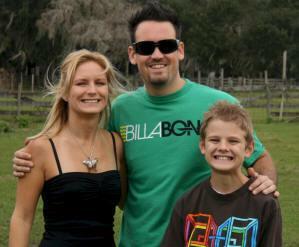 At the same time, funerals are also a time to remember and celebrate the life that your loved one lived. Our Monarch Butterfly Release for funerals can help to lend some comfort to you and your guests. The life cycle of the Monarch butterfly is often used to represent the life cycle that humans experience. The caterpillar stage being life, the chrysalis being death, and the final form of the Monarch butterfly being rebirth or resurrection. Monarch butterflies show your guests that the soul of the departed is still present, even if the body is gone, and let everyone know that it is on to its next adventure. View a Monarch Butterfly Release at a Memorial in the video below. The main difference is that the body is not present at a memorial service. The service can also be held at any time, be it a week after death or a year. No matter when you hold it, having a Monarch Butterfly Release for your memorial service, again, is a wonderful way to celebrate the life that has passed. All Monarch Butterflies are guaranteed to be in their best health, alive and ready to fly for your when you receive them. 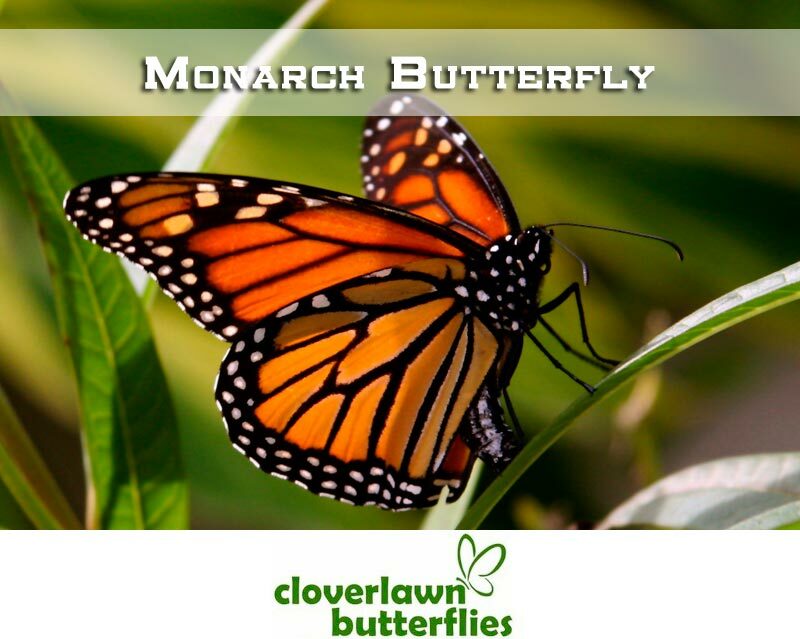 This fact is why Cloverlawn Butterflies Butterfly Release Company is top rated and the perfect choice to buy from when releasing monarch butterflies for special occasions and events. 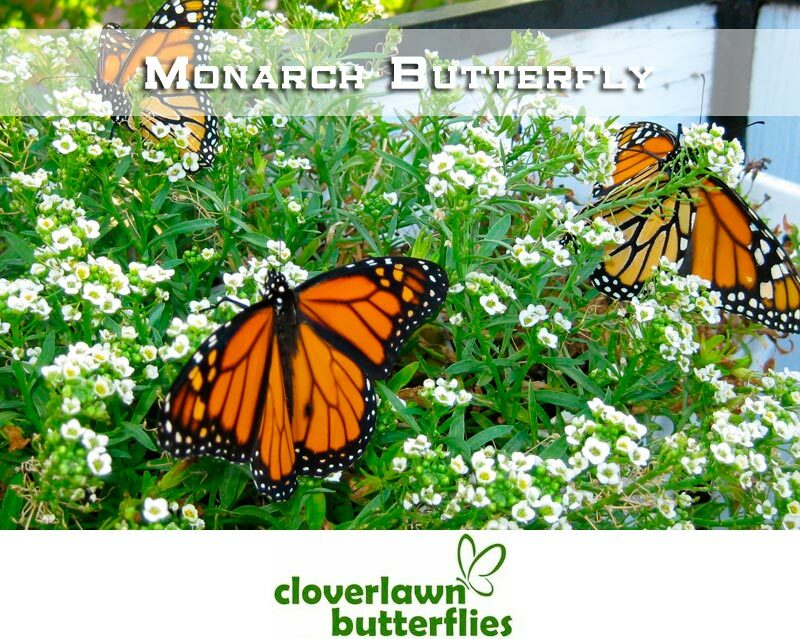 The process of buying our Monarch Butterfly Release Package of 12 Monarch Butterflies in Mass Release Boxes is safe and easy when you purchase from Butterfly Release Company Cloverlawn Butterflies. First you choose your Monarch Butterfly Release Package of 12 Monarch Butterflies in Mass Release Boxes that will contain your butterflies to release. Next you choose your “Butterfly Release Date.” This lets us know when your Monarch butterfly release will take place as your butterflies will arrive the day before your Butterfly Release Date. 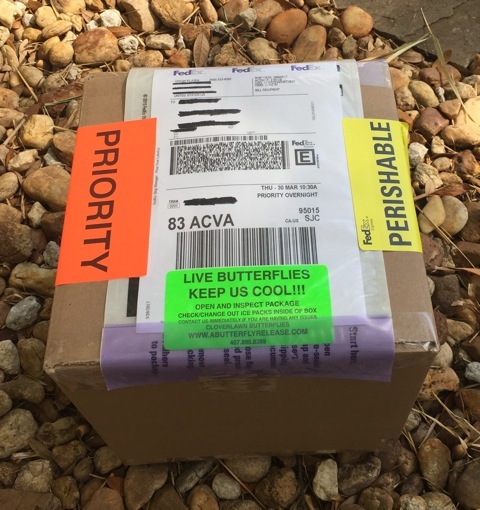 Safe overnight shipping is just a flat fee of $45 when you buy our beautiful Monarch Butterfly Release Package of 12 Monarch Butterflies in Mass Release Boxes. On arrival, your Monarch Butterfly Release Package of 12 Monarch Butterflies in Mass Release Boxes will be ready for release. Keep in mind that if you need your Monarch Butterfly Release Package of 12 Monarch Butterflies in Mass Release Boxes for release on a Sunday or Monday, we have an additional fee of $15 due to delivery costs on those days. Next you choose the quantity amount of each set of Monarch Butterfly Release Package of 12 Monarch Butterflies in Mass Release Boxes for release you want to buy and then add to cart.